So. You want to start coaching. You get one-on-one insights from your audience that you can use to make your blog more interesting, and you can make some money without creating an entire e-course from scratch. Offering coaching on your blog is a smart business decision. Like, how do you collect payment? 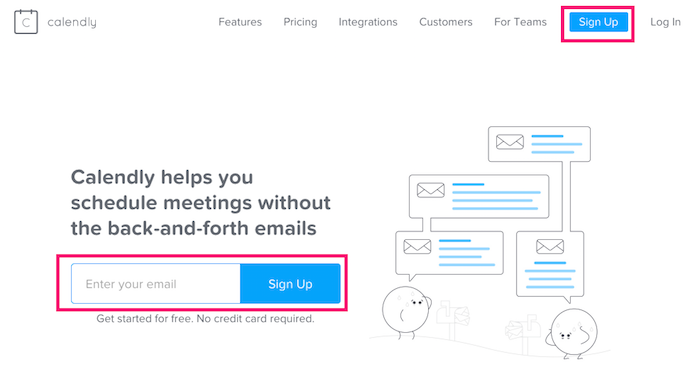 Or get people to schedule a call time without sending 15 back-and-forth “when is good for you” emails? And when you do get people on the phone, what do you say? This is where the rubber meets the road—and if you stick to it, where your blog meets everything you’ve ever wanted it to have: dedicated readers, profit, and influencer status. The best way to get readers to want to hire you as a coach is to give them something to look forward to as a result of your session. Yes, “coaching” means they’ll get to talk to you and pick your brain, but most readers will want a little more than that. So to create your first offer, start with the end result someone will get after coaching with you. Are you a business coach who will help them decide on their pricing? Are you a web designer who can give them ten ways to optimize their website conversions? Decide on an outcome that will be for the benefit of the reader, and build an offer around that. Identify what you know is a big pain point for your audience that you can solve quickly. Outline what parts of it you’d easily be able to tackle in a 30-minute or one-hour phone call. Identify the deliverables the customer gets and can use at the end of the call. For example, one of my “coaching” offers is called an “On-Site Copy Teardown.” During the one-hour call, I walk people through their website copy and review any on-site data with them. We find ways to improve their copy so they can get more conversions instantly, without a page redesign. It’s a lot of little of steps, but it’s something you can tackle in one afternoon. Note: I’ll be showing you a free way to get everything set up, but you can easily use a service like SimplyBook.me which is relatively inexpensive and makes setup and booking even more streamlined. Also, I’m using WordPress, but most of this can still be applied if you use another content management system. The buyer needs to receive an email or PDF with a link to your calendar, so they can schedule a session. You need to receive the payment in your bank account. For the first, you need to have an e-commerce platform. And for the second, you need a payment processor like Paypal or Stripe. For the e-commerce platform, we’ll use Payhip. 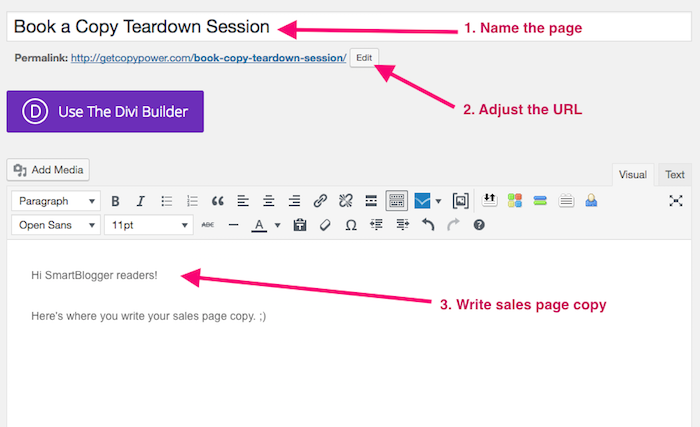 I use Payhip to deliver some miniature e-courses that I sell because it specializes in digital downloads, but I’ve also used it as a free way to sell one-hour Copy Teardowns and 30-minute Copy Review Sessions to my students. Click on the “Payment Details” tab, and you’ll see a prompt to connect either your PayPal account or your Stripe account. 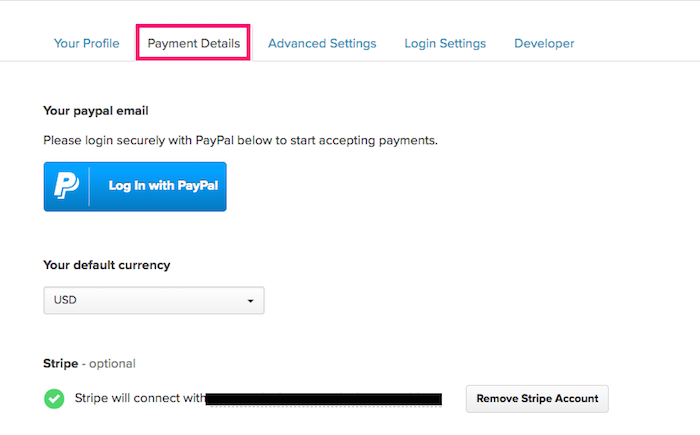 You can use PayPal (or PayPal and Stripe) if you like, but I prefer Stripe because it makes credit card payments much easier simply because that’s the only option. People don’t get confused with the additional options of paying with a PayPal balance or hooking up their bank accounts to send an e-check, like PayPal sometimes presents. Stripe’s got a super-easy-to-follow setup process. 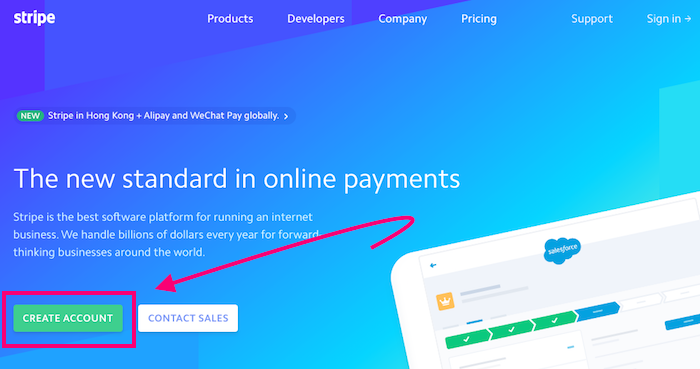 If you don’t have an account yet, go to Stripe’s home page and click the “Create Account” button, and you’ll be ready to go before you know it. Now that you’ve got a way to collect payment from people, you need a way for them to book coaching sessions with you. For which Calendly is perfect. First, go to Calendly’s home page and click on one of the “Sign Up” buttons to register for a free account. After signing in, choose Event Types in the main menu bar. 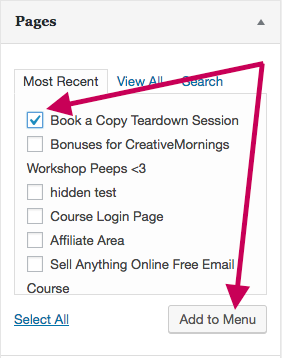 Choose whether you want to open 15-minute sessions, 30-minute sessions, or 60-minute sessions by clicking the “on” switch in the appropriate event type box. Then, click in the center of the event type box to edit the options for it. First, select which times you are available for coaching sessions. 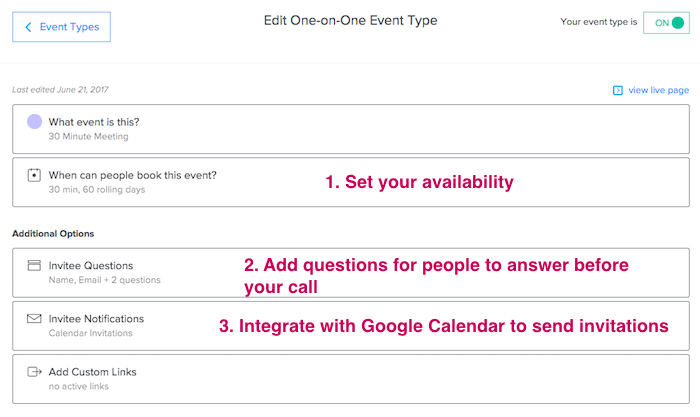 And finally, integrate with Google Calendar to add the booking to your calendar and to have an invitation sent to both of you. Now we’re going to create the “product” that you’ll sell. And yes, you’ll technically be selling a coaching session rather than a digital download, but in order to use Payhip, you will need a digital “deliverable” that people will download instantly after purchase. My download is nothing more than a PDF instruction sheet on how to schedule the coaching session they’ve just paid for, and instructions on what to do in the booking process. Very simple and straightforward, but it gets the job done. 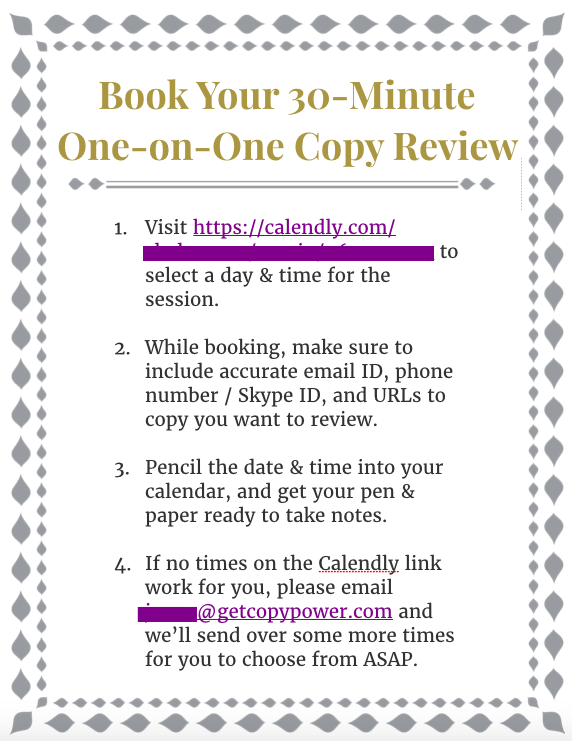 The important part, though, is to make sure this document includes a link to your Calendly page so that people can book sessions with you. After that, include any other instructions you feel are necessary based on the coaching offer you’ve set up. 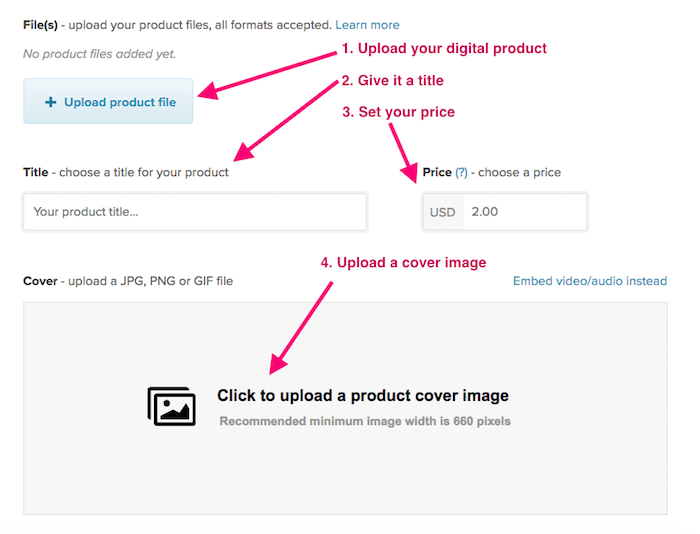 Upload your PDF, give it a title, and set your price. PayHip will also ask you for a cover image. If you have a blog logo, you could simply use that. Otherwise, Canva lets you create simple but good-looking graphics that are more specific to your offer. Then you’ll need to add a product description. Most people who get to this page will come from your website or email list and already know what they’re buying. But this is a great place to reiterate the benefits of what you’re offering and what’s involved in your offer. And you’re done! You offer is officially for sale! All you need now is a sales page so people can actually find your offer and buy a session with you. Ideally, you want to create a distraction-free page for this. (Meaning no menu, no sidebar, and no buttons that lead to anything other than your coaching offer.) This gives page visitors two options: buy or leave. 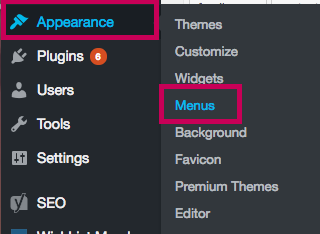 Go to your WordPress dashboard, find Pages in your left-hand menu, and click on Add New. On the right-hand side of your content editor, look for a widget called Post Attributes and see if it offers a landing page template. 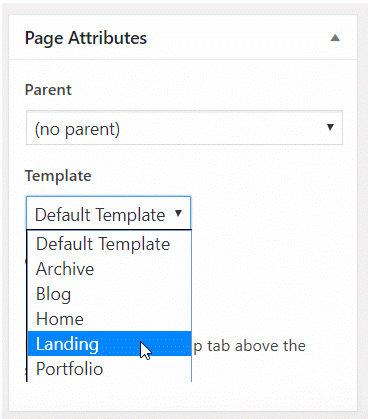 Note: If you don’t see this option, it might mean that your theme doesn’t offer a landing page template, or it might mean that it has a different method for creating landing pages. Google [name of your theme] “landing page” to find out. But if you discover your theme doesn’t have a landing page option, don’t worry. 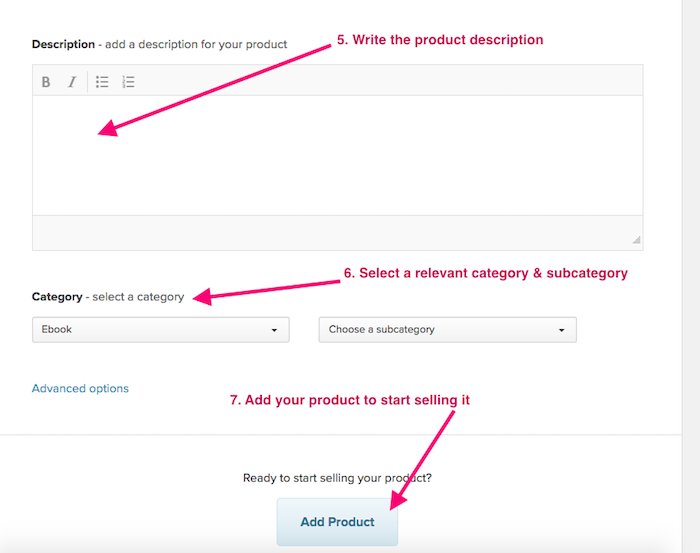 Now that you’ve set up your page as a landing page, give it a name, adjust the URL if needed, and add your sales copy. And once the sales copy is written, of course, you need to add the buy button. A window will pop up, and you’ll click on the “Embed Button” tab in that window. 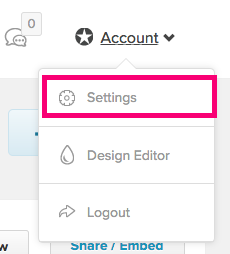 You’ll see the embed code right away, but before you copy it, click on the “More Options” text below the embed code. This drops down an entire menu of settings where you can adjust the button text, the size, and the display options until it all looks the way you want it to. After you’ve adjusted the button’s looks to your specifications, copy the code and go back to WordPress. Now, publish the page and add it to your main menu. 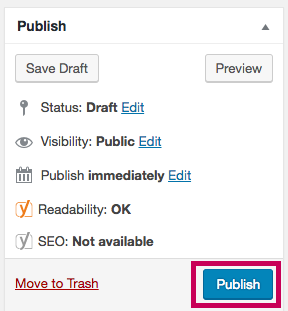 First, click “Publish” on the right-hand side of the page editor. With figuring out your offer and adding it to your website, you’ve already done most of the work. But then you get the first booking for your first ever coaching call . . . and if you’re like most bloggers who like blogging because it means you can sit behind a screen and not be in the public eye 24/7, you start to get a little nervous. Maybe even sweat a bit. How can I coach people when I’m not perfect at this myself? What if they hate what I have to say? What if no one follows my advice and they shame me on the Internet? What happens if I end up on a call with someone for two hours instead of one? Should I send them an invoice for double the price or just leave it be? What if I don’t have enough material to fill the hour they paid for? Which is why it’s important to remember that you do have something special to offer. If you’re passionate enough to start a blog and write regularly on a topic, chances are you know more than at least 80% of people about that topic. It’s also important to remember that when people pay for something, it means they’re putting their skin in the game and will be invested in your advice. They’re not expecting you to be perfect—all they need is your advice to get them to the next step. And while some people will want to just talk and talk and talk about their problems, you’re the coach here, so you’ll need to rein in the conversation and keep it focused on the outcomes you want to deliver within that one-hour conversation. With time, you’ll become more practiced and discover what works best for you as you do more coaching sessions. But to start out, here’s a great timeline to guide the conversation that keeps everything neatly inside of one hour, and makes sure your client feels heard. Honestly, I know 15 minutes might sound like a lot of time to talk about one point, but it’ll go surprisingly quickly. You’ve got a lot of knowledge in your head about your particular topic area, and 99% of the time, clients who pay to get on the phone with you will eat it up and ask all sorts of questions. If you find yourself in the position of a client having a million more questions and you’re at the 58-minute mark, try not to worry too much. Politely tell them you’ve only got time for one more question, that you’ll follow up with a list of notes on what you’ve gone over, and that if they feel like jumping on another 30-minute or 60-minute call in the next week or so, they can. Using the reason of having another call lined up after this client is a great exit, even if you don’t actually have one. And honestly, you’ll find most people will have 100% respect for the boundaries you set. After the call, as I’ve hinted above, you’ll want to do a brief follow-up with the client as a way to officially close things out and give them the information covered on the call as a point of reference. Most people will take their own notes, but the follow-up email is always a nice touch and increases their feelings of loyalty toward you as someone who has their best interests at heart. But in addition to the customer support side of after-call follow-up, you’ll want to take the opportunity to jot down what you learned during the call for your own purposes. Equipped with this information, you’ll be able to make your blog more interesting and engaging for people in your target audience, and to validate the ideas you have for products that you hope to make money on in the long run. Coaching is the perfect way to connect with your audience and see what makes them tick. I’ve seen it in my own business: Since I started coaching, I’ve become more relevant to my audience and I’ve strengthened my business at least ten-fold. I can write content that I know is interesting to them, I know what they’re struggling with, and I know what kind of products to put together so I can generate income from my blog. And while none of this will happen overnight, you’ll see results from your blog much faster if you coach people in your audience early … even if you only get a few clients here and there. So create your offer, set up your coaching business, and make your first coaching calls. About the Author: Chelsea Baldwin is the founder of Copy Power, where she teaches copywriting and helps entrepreneurs make the kind of “bang-bang” impression that gets remembered (even days after people leave your site). Use her free 3-part email course to learn how to write astonishingly memorable copy for yourself, even if you’re not a writer.